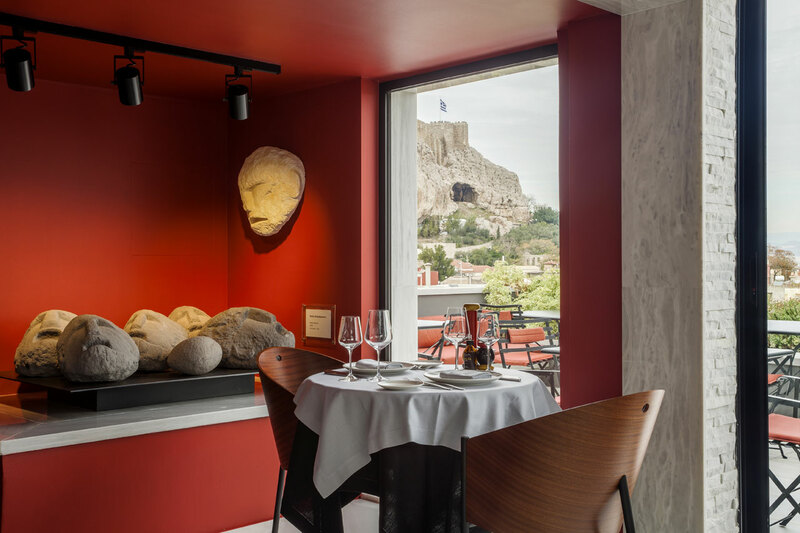 A new entry on the downtown Dionysiou Areopagitou promenade, the SENSE Fine Dining Restaurant is the perfect ending to a long winding walk in and around the Acropolis Hill. 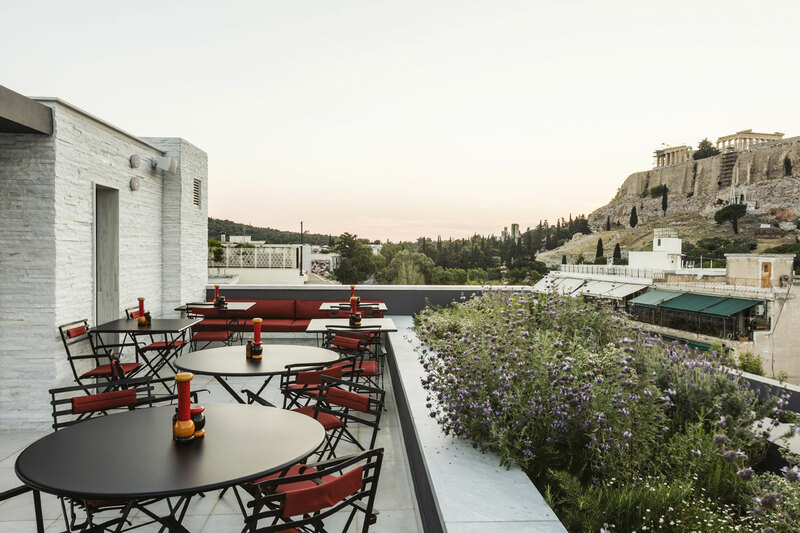 A light-handed variation on the Greek-inspired theme permeating the entire AthensWas Hotel, this rooftop hideaway has a surprisingly youthful vibe that’s both welcoming and intimate. Bypassing more traditional dining set-ups, the terrace opts for simple metal furniture elevated by bright pops of color, while the indoors area takes things up a notch with a bright carmine wall framing the luxurious timber seating. The menu has a solid appreciation for Greek cuisine and a predilection for fish and seafood, cleverly incorporating international influences without diluting the restaurant’s local character. With the Acropolis in the background, you’d think the food would simply play along without demanding too much attention, but - surprisingly - this is where you’re wrong! The open plan kitchen immediately demands your attention, with chef Thodoris Papanikolaou and his team taking center stage. 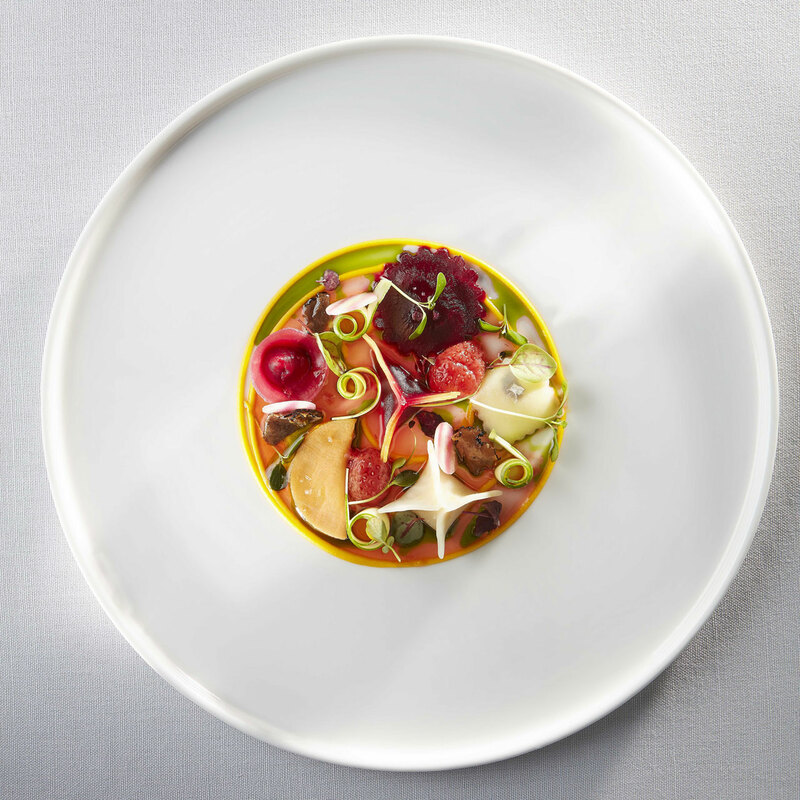 Each and every one of their dishes is a colorful ensemble of painterly ambition, starting with the Kitchen Garden, a vegetable extravaganza, including carefully orchestrated red & yellow beetroot bites, truffles and strawberries. The ascent to culinary heaven continues with a well-curated selection of reinterpreted Greek delicacies, such as poached grouper with sea urchin-lemon sauce, suckling pig with potato foam and pigeon étouffée. Ordering dessert can be a real dilemma, as you’ll be faced with the predicament of having to slice into a perfect lemon-shaped olive oil semifreddo or a sculptural arrangement of ancient Greek pillar cakes. It’s a tough job, but somebody’s got to do it!